We are very proud to announce another great money-saving opportunity for our Benefit Consultants, our Members and our Providers. Introducing “AmeriPlan Travel Club”. Whether you are looking for a World Cruise or just a nice quite weekend retreat, The AmeriPlan Travel Club will enable you to quickly and easily search the travel universe to find exactly what you are looking for at the best rates available. Hotel Rooms, Car Rentals, Cruises, Tours, Flights…you name it and it is yours. 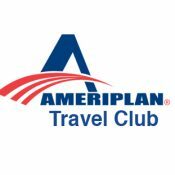 Just click on this link: www.ameriplantravelclub.com to get to the AmeriPlan Travel Club site. If you are visiting for the first time, please register so that you can use the benefits. If you have already registered, this link will get you to the site to shop for your travel needs.